Make sure you~ve got the space and organization room to take along everything you need on your travels and everything you~ll bring back with you with the Travelpro&amp#174 Rollaboard Suiter. Constructed from nylon fabric with DuraGuard coating which features stain and abrasion resistance for greater durability. Duraframe&amp#8482 framing system provides lightweight and durable molded framing protection. Expansion capability gives you and extra 2 of space when needed. Ergonomic zipper pulls open compartments with ease. Comfort grip top and side carry handles allow you to easily lift a full-packed case with ease. Telescoping handle with contour grip. Large zippered front pocket is perfect for holding magazines, travel souvenirs, paperwork, and even most laptops. Convenient ticket pocket on the front provides quick access to your passport, tickets, keys or a cell phone. Main compartment includes a convenient mesh pocket for smaller items such as toiletries and undergarments and also includes a removable suiter. Lightweight garment suiter prevents wrinkling and doubles as a packing divider. Luggage is protected by rubber skid guards, skid bars and molded corner guards. 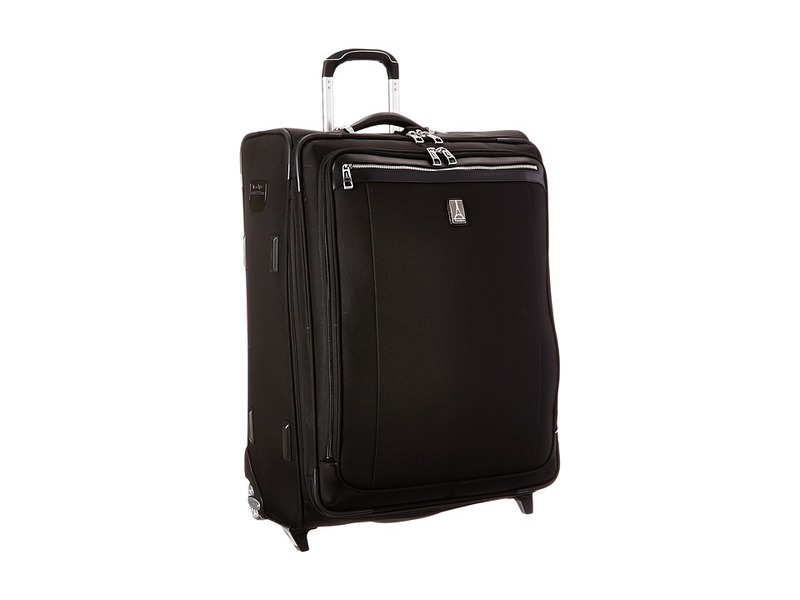 Sealed, ball-bearing inline skate wheels keep the luggage rolling easily and are removable. Measurements: Width: 20 in Depth: 10 in Height: 27 in Weight: 9 lbs 14 oz Proposition 65 WARNING: This product contains chemicals known to the State of California to cause cancer and birth defects or other reproductive harm.